Many Apple Music subscribers want to enjoy Apple Music songs on iPod Nano and iPod Shuffle. However, if you try to sync downloaded offline Apple Music tracks to iPod Nano or iPod Shuffle, you will get a message that “Apple Music songs cannot be copied to an iPod”. To solve such a problem, you can convert Apple Music tracks to MP3 or M4A playable on iPod Nano and iPod Shuffle. Here is the software solution you need. Before Apple Music’s debut on June 30, 2015, many Apple users wondered that whether Apple Music was available for iPod Nano and iPod Shuffle. And it was soon confirmed by 9to5Mac, Digital Trends and some other famous websites that iPod nano and shuffle wouldn’t get Apple Music because Apple wanted to prevent piracy. 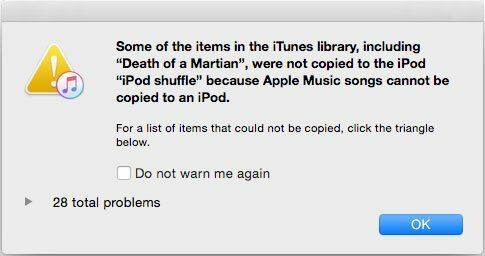 Many users also tried to sync downloaded offline Apple Music songs to iPod Nano or iPod Shuffle, and what they got was a message that “Apple Music songs cannot be copied to an iPod”. iPod Nano and iPod Shuffle don’t have Wi-Fi capabilities, but Apple could have worked around this problem with new software to accommodate authentication of Apple Music subscriptions through iTunes once a month. To all iPod Nano/Shuffle users’ great disappointment, the result was bad luck. Some users submitted questions and complaints to Apple's discussion forum. jsilvamo: "I started Apple Music trial, and I added some songs to My Music library, when I connect my iPod Nano 7g and try to sync. It says that song was not copied to the iPod because it is a subscription item." Still waiting for Apple Music’s official support for iPod Nano and iPod Shuffle? No way! On July 27, 2017, Apple removed the iPod nano and iPod shuffle from its website and online store around the world, and it has since confirmed the iconic portable media players have been discontinued. 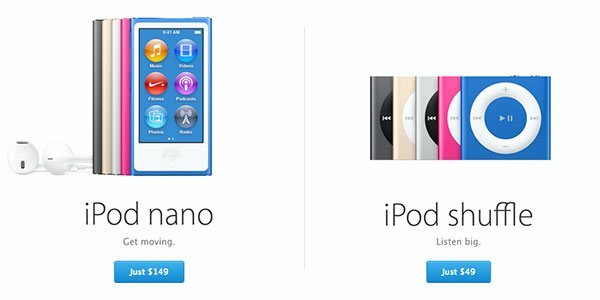 If you like iPod Nano or iPod shuffle, you can still buy them from many Apple Stores and other resellers, but sooner or later, iPod Nano and iPod Shuffle will vanish from our sight and become an extinct music player. If you want to buy an iPod Nano or an iPod Shuffle as a souvenir, then 7th generation of iPod Nano started at $149 with 16GB of storage or 4th generation of iPod Shuffle started at $49 with 2GB of storage will be your best choice. To solve audio incompatible problems, an audio converter will be necessary. Most audio converters claim that they can convert all audio formats, but when it comes to Apple Music songs, there is nothing they can do. Here we introduce TuneMobie Apple Music Converter, a dedicated solution for converting Apple Music tracks, it will effortlessly help you enjoy Apple Music songs on iPod Nano and iPod Shuffle. TuneMobie Apple Music Converter can load all your iTunes media library to its interface, allow you to convert Apple Music tracks, audiobooks and other iTunes compatible audio files to MP3, M4A, etc. without losing any quality. 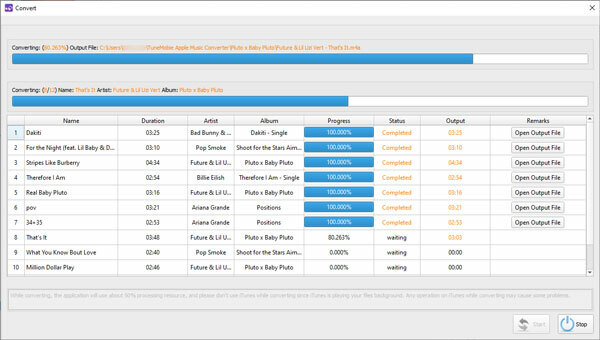 For Windows users, you can even add your favorite Apple Music tracks or playlists in iTunes library without downloading to iTunes library, and TuneMobie Apple Music Converter will handle all other things. Below are the wonderful features you will surely like. Convert Apple Music to other audio formats like AIFF, FLAC, AC3, AU, MKA, etc. Launch TuneMobie Apple Music Converter and iTunes will be automatically launched as the program needs to load iTunes media library and integrates the playlists in software interface. All iTunes media files, including Apple Music tracks, Apple Music playlists, audiobooks, TV shows, home videos, music videos, podcasts, etc. will be displayed in left panel. And Apple Music Playlists created by Apple will be listed as separate lists in the bottom of the left panel. Click a playlist and choose any Apple Music tracks in the playlist by ticking the checkbox. You can also tick the first checkbox on the top to choose entire playlists. You can choose tracks in different playlists. If you have got plenty of Apple Music tracks in your iTunes library, then built-in search box will be the best assistant to find any tracks quickly, as you can search song title, album, artist, etc. and search results will be displayed in one or two seconds. You don’t need to download Apple Music tracks to PC, but make sure you have add them to your iTunes library. The best audio format for iPod Nano and iPod Shuffle is MP3 or M4A. Depending on your habit, you can either choose MP3 or M4A. If you are using an iPod Shuffle with only 2GB storage and want to hold as many songs as possible, you may need to consider output quality as well. 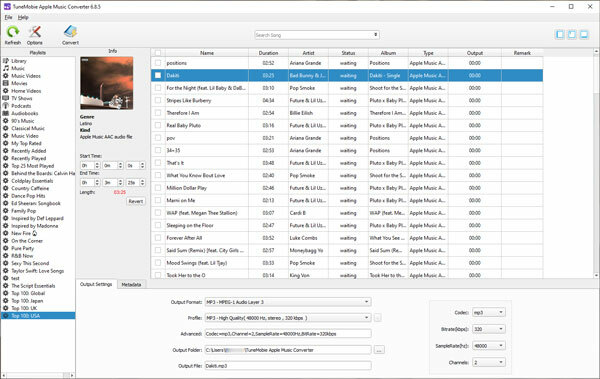 TuneMobie Apple Music Converter allows you to choose audio quality in profile list, or simply select a bitrate value. If audio quality is what you concern most, then 320kbps MP3 or 256kbps M4A will be good enough as this leads to lossless conversion. 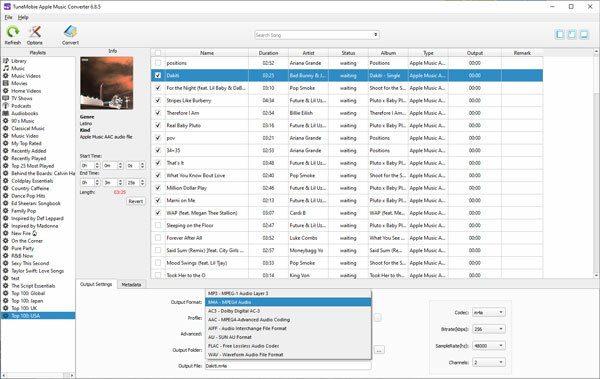 If necessary, set output folder for your songs, and click Options button to adjust conversion speed and set custom file names and folder structures by ID tags and characters. Generally speaking, there won’t be any problem using 16X faster speed, but if your internet connection is unstable and slow, you may need to slow down conversion speed for those Apple Music tracks you haven’t downloaded to PC. Now you can exit both TuneMobie Apple Music Converter and iTunes. Then restart iTunes and add the converted Apple Music tracks to iTunes library. As output MP3 and M4A files preserve ID tags, they may look the same as original Apple Music tracks. We recommend you delete the Apple Music tracks or playlists which have been converted. And you can add them back to your iTunes library whenever it’s necessary. Connect your iPod Nano or iPod Shuffle with USB cable, create a playlist to include all the converted Apple Music tracks you want to enjoy, then sync to the device. When the syncing is done, you can now enjoy Apple Music tracks on iPod Nano or iPod Shuffle without any problem. "With iPod, Apple has invented a whole new category of digital music player that lets you put your entire music collection in your pocket and listen to it wherever you go," said Steve Jobs as the first iPod launched in 2001. "With iPod, listening to music will never be the same again." It’s no doubt that iPod has changed the world of music in several ways. On September 9, 2014, Apple discontinued the iPod Classic. On July 27, 2017, Apple discontinued the iPod Nano and iPod Shuffle. In the near future, the only iPod you can buy is iPod Touch, which is totally different from iPod Nano and iPod Shuffle which focus on music playback. If you have subscribed Apple Music and also own an iPod Nano or an iPod Shuffle, lying the music players idle in the drawer is really a waste. With TuneMobie Apple Music Converter, enjoying Apple Music tracks on iPod Nano and iPod Shuffle is just a breeze.